The MMR vaccine offers protection against 3 diseases – measles, mumps and rubella in a single combined injection. Measles is common outside Australia, and cases have increased in WA recently. Adults born in or after 1966 can receive up to 2 free doses of MMR vaccine. Travellers are especially recommended to get the MMR vaccine. Children receive the MMR vaccine at 12 and 18 months through the National Immunisation Program. The MMR vaccine offers 99 per cent protection against measles, mumps and rubella. This combination vaccine ensures you are fully protected and helps reduce the spread of these diseases. MMR is the only vaccination available in Australia for measles – you cannot get a vaccine for measles only. Measles is the most infectious of all vaccine-preventable diseases and can have serious complications. Children are offered the MMR vaccine at 12 and 18 months of age through the National Immunisation Program. The second dose at 18 months also includes the varicella vaccine to protect against chickenpox and so it is known as the MMRV vaccine. According to the Australian Immunisation Handbook, 2 doses of the MMR vaccine are recommended for everyone who does not have immunity against measles, mumps or rubella. It is important that your child receives 2 doses of the MMR vaccine to be protected. It's never too late; older children are still eligible for the free vaccine if they haven't received it yet. See your GP or immunisation provider if your child hasn't received their 2 doses of the MMR vaccine. You can check your family’s immunisation records at the Australian Immunisation Register. If you've never had the MMR vaccine, it's not too late. The MMR vaccine is free for everyone born during or after 1966. Two doses are required, at least 1 month apart. 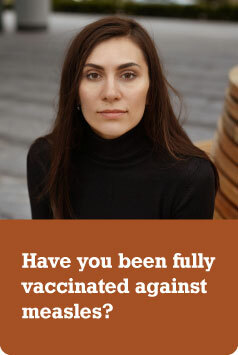 If you're not sure whether you are fully vaccinated, have the vaccine. An extra dose of MMR vaccine will not hurt you, and will make sure you are fully protected. The exception to this is pregnant women and women who are thinking of becoming pregnant who are not recommended to get this vaccine. See 'Who should not have the vaccine' below for more information. It is especially important to make sure you are fully vaccinated against these infections before travelling overseas because these and many other diseases are still common outside Australia. Most people born before 1966 are immune to the disease, especially measles and mumps, because they probably had the disease in childhood. have a disease (for example HIV/AIDS or cancer) or having treatment that lowers immunity. To prevent any possible harm to your baby, you shouldn't have an MMR vaccine if you are thinking of becoming pregnant. You should also wait 2 months after having a MMR vaccine before becoming pregnant. If you discover you are pregnant after having a MMR vaccine, discuss with your doctor. There a no known cases of the vaccine harming the developing baby, but doctors generally try not to give any live vaccines or medications during pregnancy. Having a MMR vaccine in early pregnancy is not a reason to terminate a pregnancy (have an abortion). The MMR vaccine is safe, effective and has few side effects. Before vaccination, about 100 Australian children died each year from measles. Today, deaths from measles are rare. Similarly, there are very few cases of birth defects from rubella in Australia today. Measles and rubella cases are now more common in young adults, the group least likely to have been vaccinated or to have had the diseases. With MMR vaccination, some people get a few, temporary side effects such as fever with mild malaise and rash. These side effects are non-infectious and could last between 7 to 10 days. There is also an increased risk for febrile seizures, mainly in children under 3. These are likely to occur 7 to 10 days after vaccination. Few people are affected by the second dose. These symptoms normally occur soon after you received the vaccine, last 1 to 2 days, and resolve without requiring special treatment. A severe reaction following the administration of MMR vaccine is very rare (less than 1 in 1 million doses administered). One dose of the MMR vaccine given when a child is 1. This is followed up by an MMRV vaccination when the child is 18 months old. If a child is older than 18 months and never received the vaccine, it is recommended that they receive 2 MMR vaccines, with a minimum of 4 weeks apart. The Western Australian Vaccine Safety Surveillance (WAVSS) system (external site) is the central reporting service in WA for any significant adverse events following immunisation. phone WAVSS on (08) 9321 1312 Monday to Friday between 8.30am and 4.30pm. The MMR vaccine is available in metropolitan and country WA from immunisation providers including GPs, immunisation providers, travel clinics and Aboriginal Medical Services. The MMR vaccine offers 99 per cent protection against 3 diseases – measles, mumps and rubella. It is safe, effective and has few side effects.